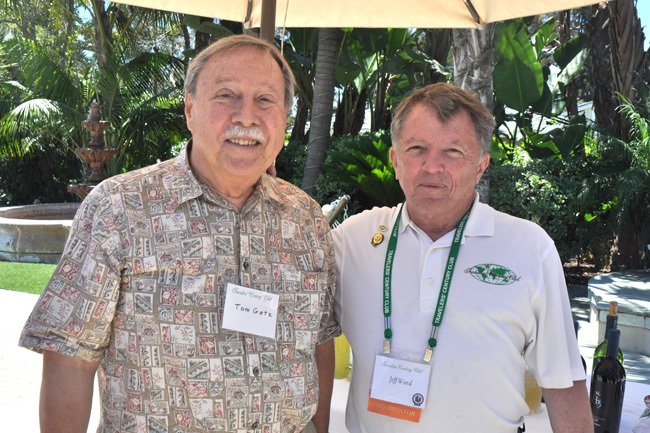 San Diego Chapter Coordinator Jeff Ward (right) with Tom Getz, who presented his photos of Namibia at the July meeting in La Jolla. A record 63 members and guests gathered on July 9 at the gorgeous La Jolla home of Gloria and Charlie McCoy. Everyone enjoyed a catered Mexican barbecue, complete with margaritas.